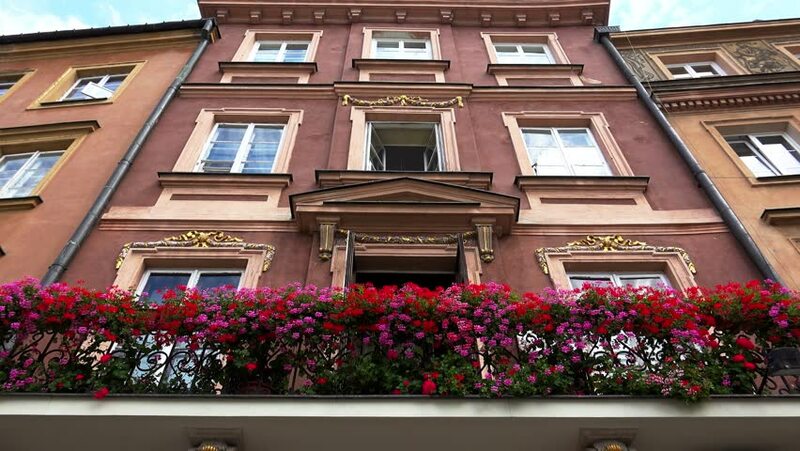 Balcony with flowers in Warsaw. Poland. Shot in 4K (ultra-high definition (UHD)).